Go-Pro or Contour? what should I get? That was a question Kevin Lu one of our Racefriv contributors asked me. Actually he specifically needed to know about underwater usage to compare to just getting a dive housing for his Canon S100. He texted me, but i'm not the sort of person who can answer a photographic related question in 150 characters. So Kevin, instead of just answering you alone, in a series of badly written texts, here's the long James May answer! Hit the jump for more. 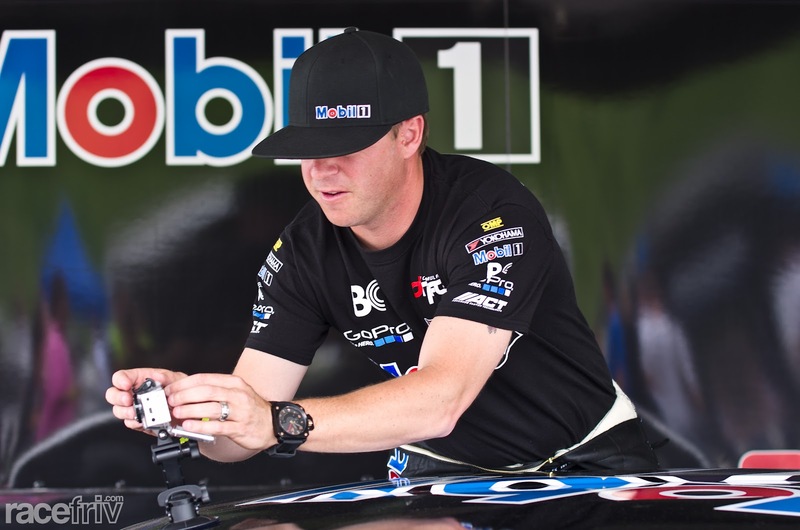 Tyler Macquarrie is sponsored by Go-Pro but he likes to take the time to mount them himself! As much as I would like to go on all day about the relative features of each camera we would be here all day long. Instead let me tell you what I like about each one without creating a huge spec sheet comparison. These guys are pretty much the industry standard. You can buy a HeroHD for $199, but its limited to extreme wide angle fish eye views (unless you hack the lens). Lots of accessories for them which is nice. The Hero2 (above) is much better, its low light capabilities, choice of zoom (which is accomplished by using more or less of the 11Mp sensor) and better quality lens make this a great camera - you might be able to find it for $249 now reduced from its original price of $299. They all use an SD card, all have similar form factor (brick). The Hero2 has an audio input but in all honesty it might be better to record audio separate from the camera and mix later. I'm told that the flat lens conversion is key to using underwater. an LCD screen option, but also has a little tiny LCD for selecting modes. Hero2 was expensive, but might be available for less now. 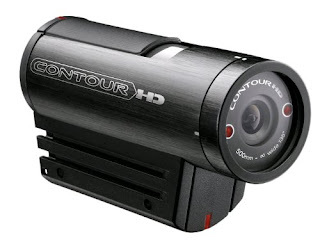 Disclosure: I snagged a ContourHD on the cheap so I use one of these a fair bit. I paid $138 for mine not the currently crazy asking price of $259 on amazon. The newer series (contour Roam, GPS and the Plus) are upgraded but still dont have all the features of a Hero2. I really liked the 135deg viewing angle that mine came with but now thats only available on the "GPS" version. Thats a shame because its better than the super wide 170deg versions for most types of video. The newer versions also do timelapse which is nice to see. For me I think they key for the contour is the form factor, they are super easy to mount and fit anywhere. To get that slender design they use a microSD card but thats not such a deal breaker if your smart phone also uses one (mine does!). They also have a cool laser alignment feature that helps you level the camera if its mounted somewhere odd, and the whole lens/sensor rotates in the barrel to help with that. There are some amazing bluetooth and HDMI features on the fancy models but those are VERY expensive. The dive housing works great with the form factor and comes with a flat front so automatically make great images. form factor. Its fantastic to mount anywhere at any angle very easily. Forget selecting the viewing angle on these, they come one way or the other, choose carefully. In summary both are priced in the same ball park, both have similar good quality video output (some might give that edge to the hero2 especially in low light). I think the choice comes down to budget and form factor. The audio really isnt worth worrying about because for good production quality youll use an external recorder anyway. Both have nice dive housings, suction cups and tripod mounts, and both have older HD versions that can be had cheaper. 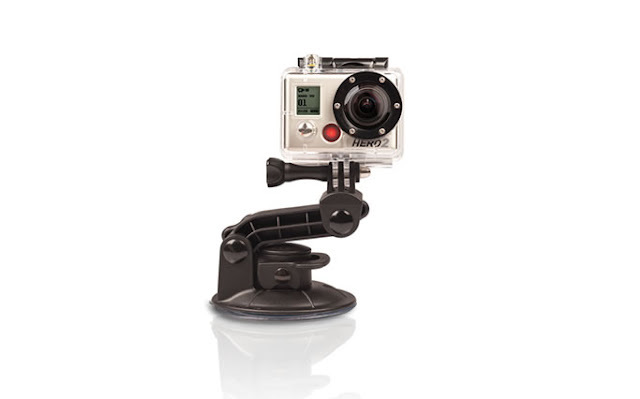 My recommendation to Kevin is the Hero2 Motorsports edition + a dive housing. Diving means lower light levels where this camera shines. Plus I think the Go-Pro dive housing is superior with its little case for filters. You can choose a viewing angle to suit and then you'll have a go pro for some day when you want to capture some action. Ultimate image quality would be better with the S100 and when shooting stills you can use the flash which may well be needed in deeper water. The dive housing for it is $220 at B&H so you could come away ready to shoot for less money that way, but you won't have an action cam for playing around with later. Whatever you do Kevin, I want to see pictures or video when you get back!